The issue of term limits for President Evo Morales and his left-leaning governing party, Movimiento al Socialismo (MAS), still remains on the table. The MAS party has submitted a claim to the Plurinational Constitutional Court that the current constitution, and the articles specific to term limits, are violating the political rights of the president by limiting the constitutional right of all Bolivians to “participate freely in the formation, exercise and control of political power“. In short, their argument contends that the constitutional provisions on term limits are, in fact, unconstitutional. They wish the Court to overturn the relevant articles and allow Evo Morales to run for a fourth consecutive term in 2019. This is not a minor political battle. Morales is already Latin America’s longest-serving president currently in office, having previously won elections in 2006, 2009 and 2014. The Bolivian Constitution, the current version of which was adopted in 2009, states that presidents are only entitled to two consecutive terms in office. On this basis, Morales’ opponents challenged his right to run in the last election in October 2014. Morales was first elected in 2006, before being re-elected again in 2009 and as such, his opponents claimed he has already held two consecutive terms, and so was constitutionally barred from running again. The Supreme Court disagreed. In 2013, they ruled that his first term in office was not applicable in this instance as it occurred before the new constitution when the two-term limit came into effect. But this not stopped Morales seeking a fourth consecutive term. In February 2016, Morales and the Movimiento al Socialismo attempted to change the country’s term limits via a popular referendum, which would have allowed him to run again in 2019. Despite high levels of popularity throughout his terms, coupled with growth rates of nearly 7 per cent per annum, he was dogged by a corruption scandal involving a former relationship from 2005 with Gabriela Zapata and her relationship with a Chinese construction firm, CAMC. During the campaign, Morales’ opponents accused him of influence peddling and corruption, allegations that were thought to severely dampen enthusiasm for his proposed constitutional reform. As a consequence, Morales’ proposed reform was rejected by 51.3 per cent of the electorate (with a turnout of nearly 85 per cent). But Morales and the MAS, despite initially claiming that they would respect the results of the referendum have not left things at that. Morales publicly announced his intention to seek a fourth term after the referendum and just before Christmas, the MAS named Morales as its candidate for the 2019 elections. What makes the current strategy of the MAS all the more interesting is the fact that elections for the juridical positions on the Plurinational Constitutional Court will be held this coming December. It is expected that candidates will be pressed by the media and the public, about their position on the proposal of the MAS. One thing is for sure: we have not heard the last about term limits in Bolivia. This entry was posted in Bolivia, Latin America and tagged Evo Morales, presidential term limits on September 29, 2017 by David Doyle. In the beginning of the 21st century, prospects of Latin American presidential democracies were good. The dictatorships of the 1970s and 1980s had vanished, economies were constantly growing, and comprehensive social welfare programs were implemented. Many political scientists link these successes to the ability of Latin American presidents to form, maintain and manage cabinet coalitions (Cheibub 2007). The differences between presidential and parliamentary systems of government seemed to have become rather marginal. Both presidents and prime ministers achieved legislative majorities by forming broad cabinet coalitions and critics of the presidential form of democracy, such as Juan Linz (1994), seemed to be proven wrong. However, soon presidential impeachments became the new pattern of political instability in the region (Pérez Liñan 2007). Cabinet reshuffling remains constantly high and broad corruption schemes, directly linked to coalition politics, have been disclosed, such as the Mensalão Scandal in Brazil, where the ruling party of President Lula da Silva used illegal side payments to secure the legislative support of members of the ruling coalition. My recent article in Latin American Politics and Society takes a systematic look at the formation of cabinet coalitions in presidential systems over the past 25 years. It analyzes the extent to which presidents in 13 Latin American countries have formed coalitions that increase their law-making capabilities, and whether presidents form coalitions tailored to find majorities in Congress especially when presidents have low independent influence over policy based on their institutional law-making powers. The study complements the perspective that cabinet coalitions are largely an instrument for finding legislative majorities with the idea that presidents use cabinet posts to honor pre-electoral support. The reason is the following: presidential elections provide strong incentives for electoral coordination because they tend to favor two-candidate competition. In a multi-party setting, this means that parties have incentives to form pre-electoral coalitions to present joint presidential candidates. When negotiating pre-electoral pacts, parties are likely to agree on how to share the benefits of winning including cabinet posts. After the election, presidents find it difficult to abandon these agreements as they need the trust and support of other parties within and outside of their coalition during their presidential term. Thus, it is expected that cabinet coalitions are likely to be based on the electoral team of presidents and that other legislative parties are invited to join the cabinet only additionally to parties of the existing pre-electoral coalition. The study further argues that parties attractive as pre-electoral coalition partners are not necessarily the ones that would achieve cabinet participation if the negotiations of cabinet posts were an unconstrained post-electoral process. 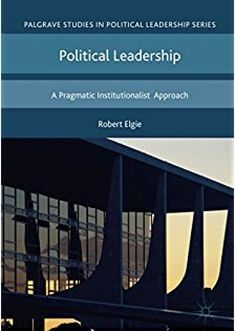 For example, in a one-dimensional policy space, extreme parties, parties more extreme than the president to the median legislator, are relatively unimportant for legislative decisions and thus unlikely to be included in the cabinet for legislative reasons. In a presidential race, however, extreme parties can provide valuable votes and campaign resources and therefore have far stronger blackmailing power. Furthermore, presidential contests produce a strong antagonism between the president and the parties of the president’s electoral rivals. Since the president’s survival in office is not contingent on the support of other parties in parliament, parties that present a strong presidential candidate are likely to be excluded from the cabinet, even if their inclusion is rational from a lawmaking perspective. It is therefore expected that the party of the runner-up is generally excluded from the presidential cabinet and that the overall explanatory power of variables of legislative bargaining increases once one controls for the effects of pre-electoral coalition formation and competition. The study empirically evaluates this argumentation on the basis of so-called conditional logit models, presenting a new empirical strategy to analyze cabinet formation under this type of regime. The tests are conducted on a new dataset of 107 democratic cabinets in Argentina, Bolivia, Brazil, Chile, Colombia, Costa Rica, the Dominican Republic, El Salvador, Honduras, Nicaragua, Panama, Uruguay, and Venezuela. Based on the new method and data, this study presents the most comprehensive test yet of the determinants of the partisan composition of presidential cabinets. First, presidents try to form majority coalitions, but it is the upper house majority not the lower house majority which makes cabinet coalitions significantly likely to from. One potential explanation for this phenomenon is that there are generally fewer parties in the upper than in the lower chamber, due to the disproportionality of electoral systems used to elect upper chambers in Latin America. Thus, the president’s party is often overrepresented in the upper house, which makes it easier for presidents to find majorities. Furthermore, upper chambers are generally strong in Latin America (Nolte and Llanos 2004), and controlling an upper chamber is often sufficient for the president to prevent a veto override. Second, contrary to expectations in the literature, extensive presidential decree powers decrease the probability of the occurrence of cabinets which control only a minority of seats in the lower house of congress. A potential explanation for this phenomenon is similar to the argument developed by Strøm (1990) for minority governments in parliamentary systems. Parties prefer to stay in opposition when the government has a weak independent influence on policy. The other explanation is that pre-electoral coalition formation is more prevalent when presidents’ institutional authority is high, as political actors make a relatively simple calculation about the benefits and the costs of coordination in presidential elections. The more powerful the president, the higher the incentives for pre-electoral coalition formation (Hicken and Stoll 2008; Freudenreich 2013). And if the a coalition is in power anyway, it is easier to extend this coalition to secure a majority in the lower house of congress. Third, considerations of governability and pre-electoral bargaining describe two distinct yet compatible sets of factors that influence cabinet formation in presidential systems. Many cabinet coalitions in Latin America are congruent or extended versions of the pre-electoral coalition of the president and parties of the main presidential competitor are generally excluded from the cabinet, but these factors are distinct to the incentives of legislative bargaining. The explanatory power of variables associated with governability increases once variables of pre-electoral bargaining are included in the statistical model. For example, cabinet coalitions are more likely to form when they include the median party in the lower chamber of congress, but this effect is only statistically significant when one controls for the effects of pre-electoral bargaining. Overall, the paper tries to show that an inclusive approach is necessary to study coalition dynamics in presidential systems. Pre-electoral commitments strongly affect cabinet formation and thereby also confound the relationship between cabinet formation, legislative bargaining and governability. Cheibub, José A. 2007. Presidentialism, Parliamentarism, and Democracy. New York: Cambridge University Press. Freudenreich, Johannes. 2013. Coalition Formation in Presidential Systems. Ph.D. diss., University of Potsdam. Hicken, Allen, and Heather Stoll. 2008. Electoral Rules and the Size of the Prize: How Political Institutions Shape Presidential Party Systems. Journal of Politics 70, 4: 1109–27. Linz, Juan J. 1994. Presidential or Parliamentary Democracy: Does it Make a Difference? In The Failure of Presidential Democracy: The Case of Latin America, ed. Linz and Arturo Valenzuela. Baltimore: Johns Hopkins University Press. 3–89. Nolte, Detlef/Mariana Llanos. 2004. “Starker Bikameralismus? Zur Verfassungslage lateinamerikanischer Zweikammersysteme.” Zeitschrift für Parlamentsfragen 35: 113-131. Pérez-Liñán, Aníbal 2007. Presidential Impeachment and the New Political Instability in Latin America. Cambridge University Press: New York. Strøm, Kaare. 1990. Minority Government and Majority Rule. Cambridge: Cambridge University Press. This entry was posted in Argentina, Bolivia, Brazil, Chile, Colombia, Costa Rica, Dominican Republic, El Salvador, Latin America, Nicaragua, Panama, Venezuela and tagged Latin America, Presidential Power on November 24, 2016 by Robert Elgie. Term limits have frequently been challenged in Latin America, particularly in those countries in the Andes that Steve Levitsky and Lucan Way have labelled ‘competitive authoritarian’ regimes. Last month, in Bolivia, President Evo Morales of the left-wing Movimiento al Socialismo (MAS) attempted to change the country’s term limits via a popular referendum. This would have enabled Morales to be elected for a fourth consecutive term. However, with a turnout of nearly 85 per cent, Morales’ proposed reform was rejected by 51.3 per cent of the electorate. This now means that Evo Morales will be unable to run in the 2019 presidential election and will have to leave office in early 2020. Morales is already Latin America’s longest-serving president currently in office, having previously won elections in 2006, 2009 and 2014. The result was somewhat unexpected as Morales is massively popular, having overseen growth of 5 per cent per annum over the last decade and expanding social benefits to big tranches of previously unrepresented groups. Only this week, a poll suggested that his approval rating was approximately 58 per cent. Although Morales highlighted his economic success during the referendum campaign, he was dogged by a corruption scandal involving a former relationship from 2005 with the then eighteen year-old Gabriela Zapata, which saw him father a child with her. Zapata now holds an important position with the Chinese construction firm, CAMC, which has been awarded state contracts worth over US$576 million. When all this emerged during the campaign, Morales’ opponents accused him of influence peddling and corruption, allegations that were thought to severely dampen enthusiasm for his proposed constitutional reform. Morales has overwhelming support for his reform in the national assembly. Last October, the house overwhelmingly voted in favour of legislation to allow the referendum to go ahead (the MAS hold 88 of 130 seats in the house) although Morales’ opponents have repeatedly challenged his right to run in recent elections. The Bolivian Constitution, the current version of which was adopted in 2009, states that presidents are only entitled to two consecutive terms in office. On this basis, Morales’ opponents challenged his right to run in the last election in October 2014. Morales was first elected in 2006, before being re-elected again in 2009 and as such, his opponents claimed he has already held two consecutive terms, and so was constitutionally barred from running again. The Supreme Court disagreed. In 2013, they ruled that his first term in office was not applicable in this instance as it occurred before the new constitution when the two-term limit came into effect. As I have repeatedly noted in this blog however, Morales is not alone in his quest to alter constitutional term limits in Latin America. Initially, most Latin American constitutions, to avoid the perils of presidentialism and prevent the long-term concentration of power in the hands of a few, limited presidents to one term in office. In fact, in 1990, the Dominican Republic was the only country that allowed presidential re-election. However, beginning with Carlos Menem and Alberto Fujimori, Latin American presidents began to broker deals with legislatures and the electorate to allow for an extension and/or redefinition of term limits. The trend continues. In 2010, Álvaro Uribe received support from the parliament to hold a referendum, proposing to change the constitution to allow him run for a third consecutive term. In April 2014, Rafael Correa indicated support for a constitutional amendment that would largely abolish presidential term limits in Ecuador. Correa already oversaw a constitutional reform to allow him run for a third consecutive term and last November, Daniel Ortega oversaw the abolition of term limits in Nicaragua to join Venezuela in allowing indefinite presidential election. See Levitsky and Way. 2013. Populism and Competitive Authoritarianism in the Andes. Democratization. Vol. 20(1). This entry was posted in Bolivia, Latin America and tagged Constitutional referendum, Evo Morales, Term Limits on March 11, 2016 by David Doyle. In Latin America, term limits often fall victim to political reform. In Bolivia, it looks as if this trend is continuing. Last weekend, the Bolivian parliament, in a marathon session that lasted nearly 20 hours, passed legislation that would allow for a constitutional amendment, to be approved by national referendum next year, which would enable the current incumbent, Evo Morales of the left-wing Movimiento al Socialismo (MAS), to be re-elected for a fourth consecutive term. The bill, which required a two-thirds majority, was easily carried by Morales supermajority (the MAS hold 88 of 130 seats in the house). If this constitutional reform is approved in the forthcoming national referendum, and assuming Morales can win the election (given his approval rating of over 60 per cent, not an unrealistic assumption), this would mean Morales could potentially remain in power until 2025. In fact, Evo Morales is already Latin America’s longest-serving president currently in office, having previously won elections in 2006, 2009 and 2014. He is not due to step down until 2020. The Bolivian Constitution, the current version of which was adopted in 2009, states that presidents are only entitled to two consecutive terms in office. On this basis, Morales’ opponents challenged his right to run in the last election in October 2014. Morales was first elected in 2006, before being re-elected again in 2009 and as such, his opponents claimed he has already held two consecutive terms, and so was constitutionally barred from running again. The Supreme Court disagreed. In 2013, they ruled that his first term in office was not applicable in this instance as it occurred before the new constitution when the two-term limit came into effect. The current proposal would allow Bolivian presidents to now hold three consecutive five-year terms and if approved by popular vote, would pave the way for Morales for run again in elections in 2019. Unsurprisingly, Morales’ political opponents are viciously opposed to the proposal. This dismantling of the constitutional term limits is not an isolated event in the region. Initially, most Latin American constitutions, to avoid the perils of presidentialism and prevent the long-term concentration of power in the hands of a few, limited presidents to one term in office. In fact, in 1990, the Dominican Republic was the only country that allowed presidential re-election. However, beginning with a number of ‘neo-populists,’ such as Carlos Menem and Alberto Fujimori, Latin American presidents began to broker deals with legislatures and the electorate to allow for an extension and/or redefinition of term limits. And this trend has continued apace. In 2010, Álvaro Uribe received support from the parliament to hold a referendum, proposing to change the constitution to allow him run for a third consecutive term. The Colombian Constitutional Court however, thwarted his efforts. In April 2014, Rafael Correa indicated support for a constitutional amendment that would largely abolish presidential term limits in Ecuador. Correa already oversaw a constitutional reform to allow him run for a third consecutive term. Last November, Daniel Ortega oversaw the abolition of term limits in Nicaragua to join Venezuela in allowing indefinite presidential election. It is expected that the Bolivian referendum will be held next February. This entry was posted in Bolivia, Latin America and tagged constitutional term limits, presidential elecctions, third term on October 2, 2015 by David Doyle. Last week, the pope finished an eight-day tour of Latin America, where he visited, and held mass, in Ecuador, Bolivia and Paraguay. For Latin America, a region with forty per cent of the world’s Catholics, this was a significant event, as Pope Francis is from Argentina, and the first pope from the region. For the presidents of these countries, Rafael Correa (Ecuador), Evo Morales (Bolivia) and Horacio Cartes (Paraguay), I suspect that this was a somewhat nerve-wracking affair. Pope Francis is a high-profile figure that could both bolster their presidencies and improve the public mood, but also one who, with a critical word or phrase, could potentially undermine their legitimacy in front of virulent opposition groups. As it turned out, the pope’s visit brought a little of everything, and although Pope Francis did largely steer clear of politics, when he did stray into the political world, it was with a somewhat mixed message. In Ecuador, the days preceding the pope’s visit were rocked with large protests against the Correa administration, and once in Quito, the pope referred to ‘this Ecuadorean people that has gotten to its feet with dignity.’ Both the camp of president Correa and the opposition jumped on this statement as evidence of support. While in Ecuador, although the pope did call for the protection of the Amazon rain forest, parts of which have witnessed extensive mining under Rafael Correa, the visit of the pontiff largely appeared to be a boon to the president. The pope’s visit to Bolivia was more political. He praised the reforms of the Morales administration, and apologized for the role of the Catholic Church in oppressing native peoples during the period of colonialism, an incredibly important statement in a country with large Quechuan and Aymaran populations. In a somewhat unusual move, Evo Morales, while wearing a badge of Che Guevara, presented the pope with a crucifix in the shape of a hammer and sickle, a replica of one belonging to Luís Espinal Camps, a left-leaning Spanish priest and liberation theologian, who was murdered in 1980 by the right-leaning anti-communist government of the time. In Paraguay, all was not so rosy for Horacio Cartes. In front of President Cartes, a conservative businessman who had previously been in prison on charges of fraud, the pope railed against corruption, referring to it as ‘the gangrene of the people.’ He also stated that Paraguay ‘must banish the temptation to be satisfied with a purely formal democracy,’ a statement laden with meaning, given the forced removal of former left-leaning (and former bishop) Fernando Lugo in 2012 via impeachment proceedings. However, despite fervent hopes among activist groups, Pope Francis made no reference to social issues, in a highly conservative country, recently divided by the refusal to allow a ten year old that was raped to have an abortion. This visit was illustrative. More broadly, it demonstrated the tensions between presidential diplomacy and the potential benefits, but also the potential damage, that can come with high profile visits such as this. It also reinforces the strong link between religion and politics, and notably Catholicism and politics, across Latin America. One last note – during his visit, the pope also called for South American unity, placing him in the company of both Simón Bolívar and Hugo Chávez. Make what you will of that. This entry was posted in Bolivia, Ecuador, Latin America and tagged Paraguay, Pope Francis, Presidential diplomacy on July 23, 2015 by David Doyle.